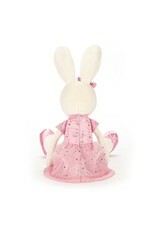 Bitsy Bunny is all dressed up for a very sparkly party! 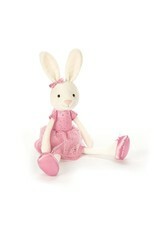 She's put on her favorite pink satin slippers and a dress all covered in starry shimmers! 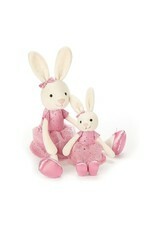 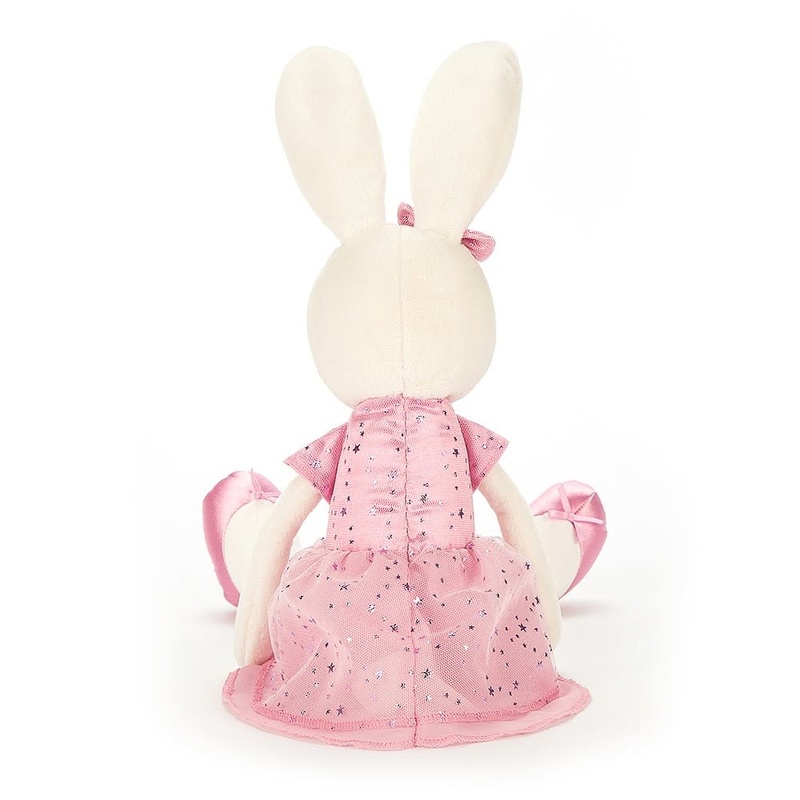 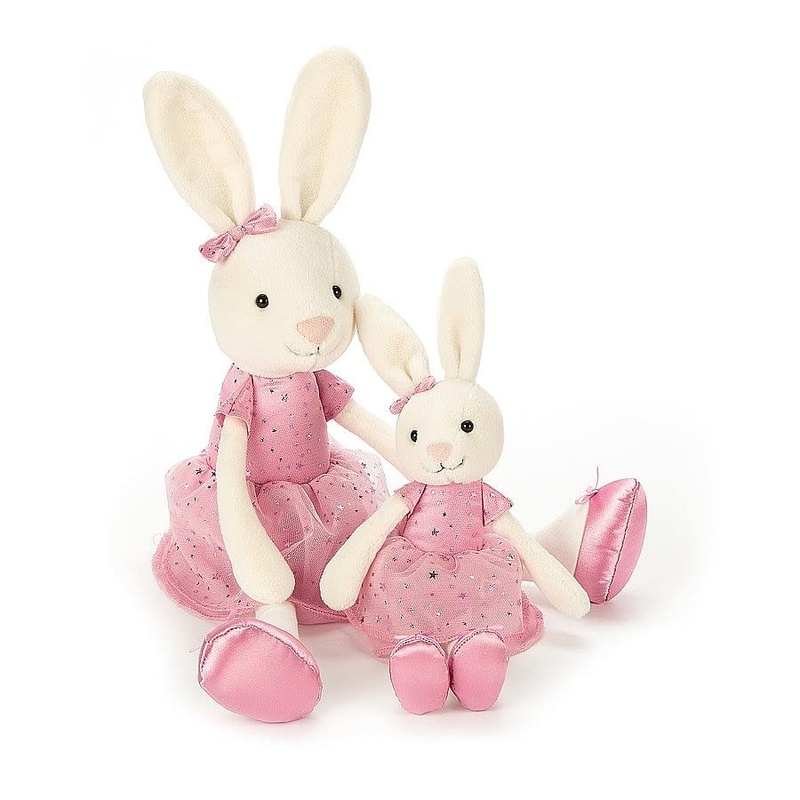 Her gauzy skirt and glittery bow go well with her creamy, perky ears. 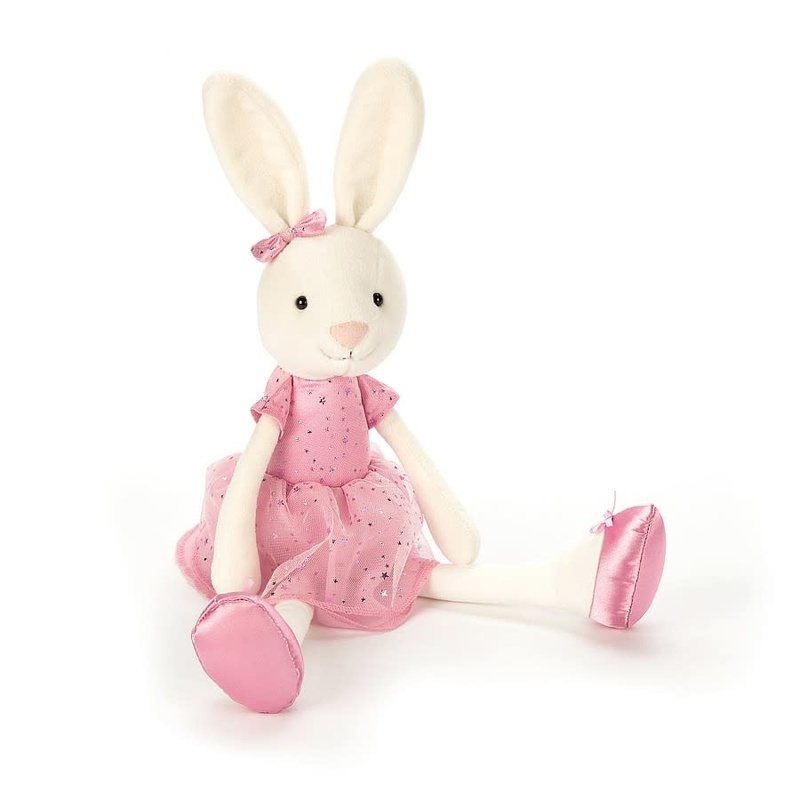 Bright-eyed and bonny, she's ready to boogie!